A massive victory in Hyndburn today for Mr Paul Brown has caused chaos for councils running selective licensing. Multiple conditions of the Hyndburn Selective Licensing scheme (also copied by other councils) have been ruled out or had their wording changed by the Residential Property Tribunal sitting in Manchester. This sets a new precedent for the UK and changes private rental licensing operations in other boroughs such as Newham, Waltham Forest, Enfield & Croydon- no appeal has been lodged by Hyndburn. It is not known how many councils proposing schemes will now abandon their attempts to bring in selective licensing given this outcome. The likely outcome for schemes already underway means council's will have to return fees to Landlords as they're not entitled to charge more than is necessary under the Hemmings v Westminster judgement, that is if they wish to carry on. It may cause schemes to be abandoned altogether as they won't be able to meet the objectives of reducing Anti-Social Behaviour upon which most schemes were based upon in the first place. The decision against Hyndburn also means more local taxpayers money has been lost trying to impose licensing onto private landlords. Hyndburn had to pay the costs of the Judicial Review Mr Brown (and others) won previously in 2010 - this case cost the council well over £100,000 at the time. It is unknown if any private landlords have been fined under the conditions that have now been changed and or what ramifications this will have. Clearly any landlord who was fined for having breached conditions that are now ruled out could have a case to counter-claim. Paul Brown (the applicant) said "Licensing is not about property conditions and the council (now) can't enforce these following on from this ruling"
An Unnamed housing law expert said (the) Enfield selective licensing draft conditons are badly drafted & unenforceable in current form and commented that local authorities often aren't any good at (drafting) these things - they went on to say that this current draft didnt require landlords to put their tenants under surveillance. It is unknown if Enfield are to proceed with the draft unamended but these comments clearly show one major council is failing to develop any meaningful change to the private rented sector in their borough. Large opposition to selective licensing scheme. The majority of landlords who responded to a consultation objected to the plan. A report put to the council's cabinet said the aim of the scheme was to improve standards of private rented housing by ensuring landlords complied with regulations and reduce anti-social behaviour by preventing overcrowding. The report said the quality of housing in Page Hall was "generally poorer" than in other areas of Sheffield and that some landlords were letting properties "irresponsibly". The council said 66% of residents who responded to a consultation were in favour of the proposals, while 75% of landlords were opposed to it. 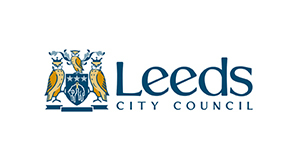 Leeds introduced selective licensing of privately rented properties in Cross Green and East End Park in October 2009. The aim of the scheme is to improve living conditions for residents and the surrounding community. In the selective licensing area all private landlords must have a licence in order to let their properties. To date, they have issued over 500 licences. Landlords and managers who operate privately rented properties in the area and do not have a licence will be committing an offence and can be fined up to £20,000. The scheme works alongside existing action on homelessness, regeneration and anti-social behaviour to promote good property management. Leeds aim to reduce the number of empty properties in the area through working with partners and enforcement action where needed. They are also promising to help those with empty property find tenants. The Communities and Local Government Committee’s inquiry into the private rented sector (2012-13) considered the operation of selective licensing and recommended that the Government should bring forward proposals for a reformed approach. In the February 2014 consultation paper, Review of Property Conditions in the Private Rented Sector, the Government criticises borough-wide licensing schemes and expresses a preference for voluntary accreditation. The deadline for responses to the consultation exercise was 28 March 2014. The council carried out and completed the consultation process on its proposal to introduce a scheme for the licensing of privately rented properties in the Borough on 24 January 2014. Over 1,534 responses were received, together with written comments. An update report was presented to Council Cabinet Committee meeting on 18 March 2014 . A further report was presented to Council Cabinet on 24 June 2014 which approved the decision to designate the whole borough as a Selective Licensing Area. What will Selective Licensing achieve? The most important issue for us is to reduce levels of antisocial behaviour and make Waltham Forest a safer place for residents and businesses in the area. The main areas we want to focus on are antisocial behaviour such as playing loud music and using homes for illegal activities, and contraventions such as sub-standard conversions of homes. However, we also want to use licensing to drive up management standards generally for all private rented properties in the borough. Our studies have shown that many tenants renting in the private sector are having to endure some of the worst tenancy conditions in the borough, such as serious overcrowding and unsafe homes. Requiring every landlord or managing agent to apply for a licence will help us to identify all of the properties that are rented out privately. This will give us the opportunity to inspect the properties to assess fitness and speak to landlords and tenants about their obligations. Why does the Council want to introduce Selective Licensing for the whole borough and not just selected areas? We have found links between antisocial behaviour and privately rented homes in these areas and so feel it is appropriate to introduce Selective Licensing on a borough-wide basis. We also want to do everything we can to ensure that all residents in the borough who are affected by problems caused by landlords not taking their responsibilities seriously have the opportunity to benefit from any improvement measures that we take. Selective licensing was introduced in the southern area of the town known as South Beach in March 2012. On the 27 January 2014 the council designated the Claremont ward area for both selective and additional licensing schemes. This has become effective since April 27 2014. More information about the Claremont scheme are available below. The council successfully applied for funding from the Department for Communities and Local Government to develop its enforcement work. The £1.028m awarded is the biggest amount to any local authority in the country.